Auto Service Manager can be used with 4 easy steps. To find out more about these steps please read on and click the link at the bottom of the page to continue. 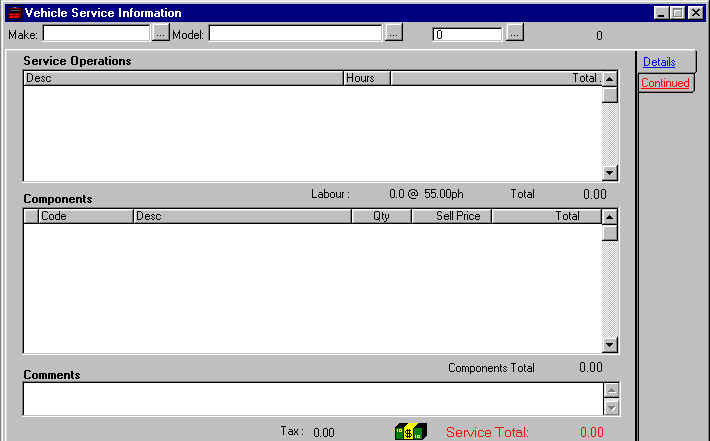 This is the main windows where you can choose the Vehicle Make, Model and Months and or Kilometers between service. To find out more about the other steps please click on the links below. Click here to return to the ASM home page.